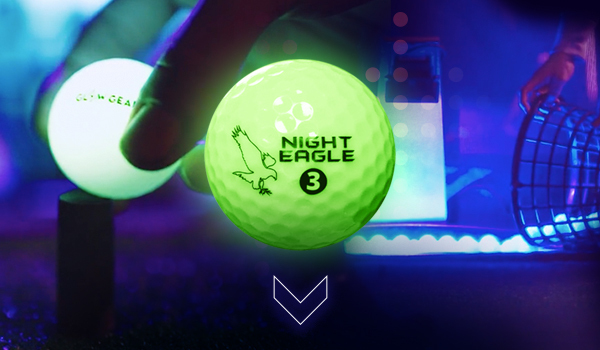 Golfing in the dark golf with our innovative Night Eagle CV LED balls are designed to illuminate (light up) brightly until turned off by the golfer, while achieving the performance you expect. 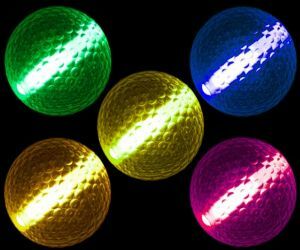 Whether you choose LED or glow balls many colors are available. 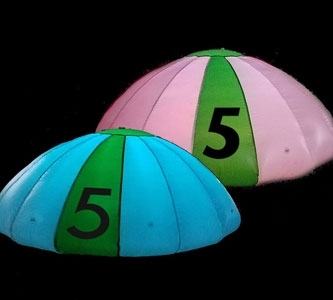 - Longest drive: Using our 6-inch glow sticks to mark the fairway every 25 yards, give each player his or her own distinctly colored glow golf balls. 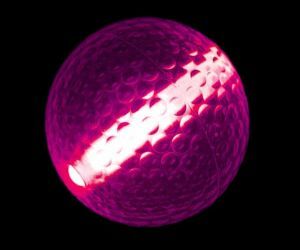 The player who hits the longest drive from the tee box wins, and it will be even easier to spot the winning drive when each ball is a different color. 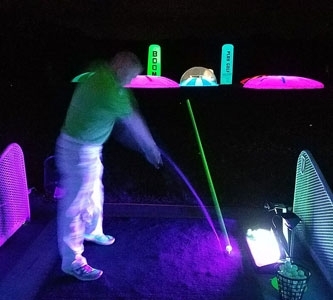 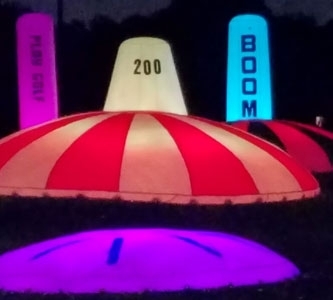 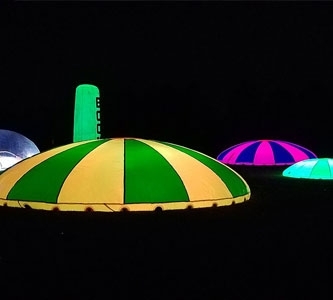 - Putting challenge: Using bendable glow sticks or glowing cup markers to illuminate the hole will add a dimension to the typical putting competition, especially when paired with glowing balls and flags marked with glow sticks. 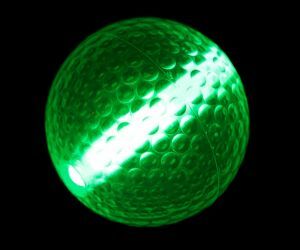 You can even up the difficulty level by giving everyone glow sticks or flashing necklaces to use to try and distract the putter. 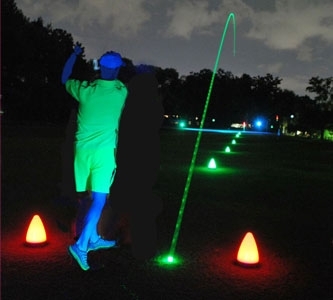 - Closest to the pin: The golfer whose drive comes closest to the pin on the green is the winner in this scenario; and hitting a glowing ball at a glowing target makes the competition even more fun in the dark.